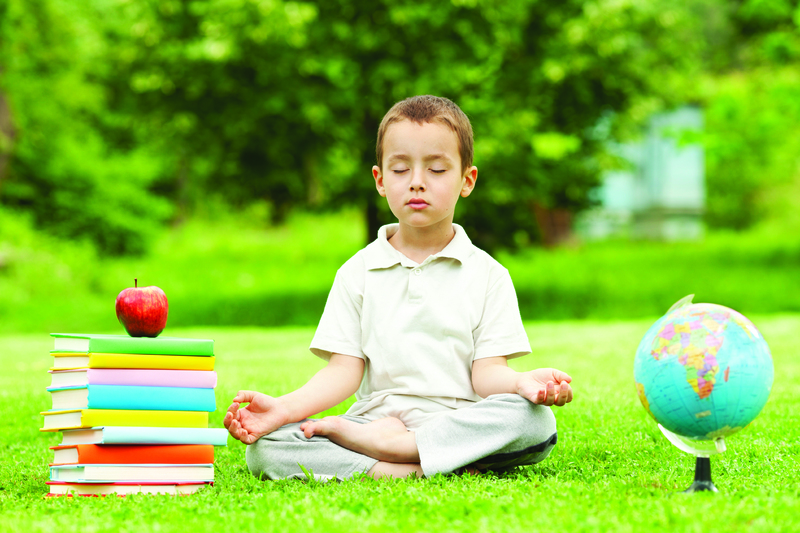 You are at:Home»Education»Meditation for children? Children and adolescents encounter stress at home and at school—just as adults do in jobs and relationships. Many professionals believe we’re seeing an epidemic of adolescent depression, driven by stress, with the average onset of depression appearing as early as age 14. Stress not only interferes with learning but also places young people at increased vulnerability to drugs or alcohol. Research shows that Transcendental Meditation is a powerful stress buster—and it works for children as well as adults. TM is easy for children to practise because it does not require controlled focus or concentration, and children can practise it without having to sit perfectly still. Even children with ADHD can practise this meditation successfully. 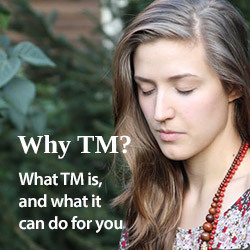 Because TM is validated by hundreds of scientific research studies, parents and educators can feel confident that the technique is safe and reliable. It’s well established that it can help children cope with stress and improve learning ability and behaviour. Over 150,000 school children around the world have learned TM in the past 3 years alone, and the technique has been successfully used in the classroom for 40 years. The brain does not come fully assembled at birth. Through the natural processes of maturation and experience, the brain is being created anew at every moment to support all thinking, deciding and behaviour. Education – at any age – is critical. Because that is when key experiences occur that can develop the brain in a healthy manner. Transcendental Meditation is the only meditation technique to create widespread brainwave coherence – to make the brain healthier and able to function together as a whole. Daily practice produces a healthy state of coherence and balance throughout the brain, with increased activation of the pre-frontal cortex, the part of the brain responsible for discrimination and higher reasoning. This type of more orderly brain functioning is not found while a child is studying, playing, watching TV or listening to music. Nor does this balanced, holistic brain functioning come about through other types of relaxation or meditation exercises, such as mindfulness, watching the breath, visualising, or guided imagination. All such activities activate specific areas of the brain but have not been found to increase EEG coherence. Higher EEG coherence is associated with sharper focus and comprehension, improved learning ability, heightened intelligence and creativity and better moral reasoning. Within one school year, elementary school students who practised TM showed significant gains on a nationally standardized test of basic skills. Education 107: 49-54, 1986. Practice of TM for 10 minutes twice daily not only stimulates brain development and learning ability in children, but also provides natural relief from stress, anxiety, depression and fatigue. Reducing stress and increasing inner happiness improves a child’s flexibility, social abilities and self-esteem. Children, who naturally find self-approval from within, rather than seeking it mostly from the outside, are less influenced by peer pressure and make better decisions. TM is a valuable tool for a child as he or she matures, in preparation for the stresses and challenges of adolescence and adulthood. At what age can a child learn to meditate? Parents may wonder: What age is it appropriate for my child to learn meditation? What type of meditation is most beneficial for children? Because very young children are still integrating their inner world with the outer world around them, they need a meditation practice that does not require them to sit still or that inhibits their natural inclination to know and discover. According to the Vedic tradition from which Transcendental Meditation comes, no sooner than 10 years old. Starting with just a few minutes morning and afternoon, children ten and older find the sit-down, eyes-closed practice of TM effortless and enjoyable, something they can do on their own or with meditating friends or family members. Children under 10 receive a practice appropriate for the developmental stages of early childhood, the Maharishi Word of Wisdom Technique. Children starting at ages three to four can learn this eyes-open, “walking” meditation. This practice strengthens the mind and helps stabilise the emotions of the young child—nourishing their inner being in a gentle, holistic way. The technique is practised a few minutes each day with eyes open, while the child is quietly engaged in easy, natural activities such as walking or colouring. The child grows in stability in relation to the outer world and does not become introverted or withdrawn—as may occur through use of an adult meditation practice that would be unnatural for them.